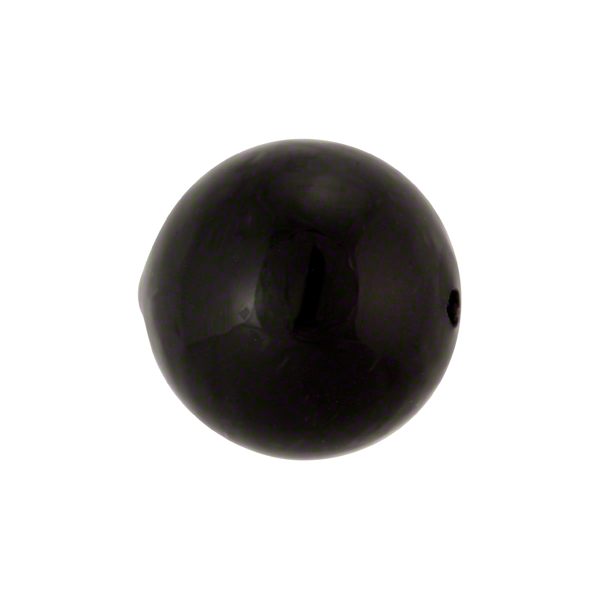 This simple solid black 16mm round Murano Glass Bead is just the bead to use with our other more decorative Murano Glass Beads - simple and very useful. The hole in this bead is nominally 1mm and runs side to side. The size is approximately 16mm round. It is a classic and can be used in so many designs.